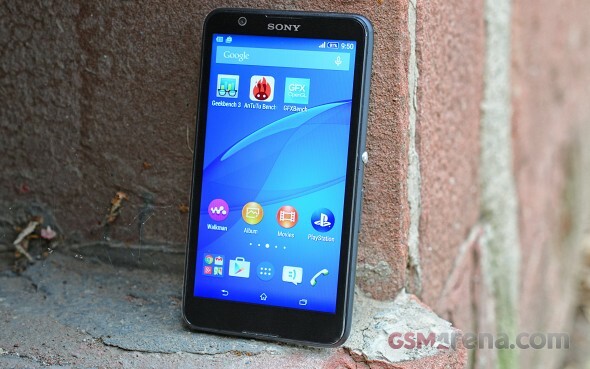 So, the Sony Xperia E4 is a cheap little entry-level phone. Except, it's not little but you get the point. What we don't quite get is why Sony needs four devices when last season they had two for the same job. 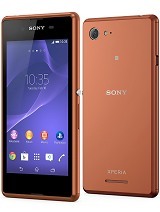 The E4 has an LTE-enabled version, the Xperia E4g, and each of those in turn has a single and a dual-SIM option. Last year's you could simply get the Xperia E3 with either dual-SIM or LTE support and that was it. This year you can have both, plus it's a fair guess that the regular E4 is for developing markets while the LTE phone is for places with 4G networks. But that's not the case - the Xperia E4 (3G model) will be available across Europe. Of course, these two are not absolutely identical. The E4g with LTE has a smaller screen and slightly better chipset. The regular E4 boasts a 5" screen. This may sound complicated but the truth is Sony didn't have to think too hard. The Xperia C from two years ago is a nearly identical package. It is definitely not the best looking device out there, but feels solid and well put together. The finish is way too simple and most likely scratch-prone. The display is a major disappointment. It offers a resolution of just 540 x 960-pixels and bad contrast and sunlight legibility. Battery life is pretty good and with regular usage the Xperia E4 can easily go through three days on a single charge. The Xperia launcher runs quite nicely on the E4 and is packed with a lot of interesting features. The phone is definitely not lacking on the software side but a Lollipop update seems unlikely. Performance-wise, the E4 is fluid enough, but really scores low in benchmarks. The CPU is decent, but the GPU is poor. The speaker on the Xperia E4 scored Below Average in out rests. It is really on the quiet side and the placement is less than ideal, it can get easily muffled. The camera is a pretty plain 5MP unit. Not much resolved detail and a lot of noise. HDR works quite well. 1080p videos turn out decent, again, considering the 5MP camera. The noise is still there, but the situation is a bit better, than with the still shots. The Sony Xperia E4 does a couple of things right. It doubles the inbuilt storage of the C3 - and the E3 for that matter. The bigger screen fits in pretty much the same footprint, meaning some bezel is gone - of which the Xperia E3 had a plenty. Still, the E3 is the better looking phone. It's got a smaller but better quality 4.5" FWVGA screen - the ppi is practically identical while contrast, sunlight legibility and viewing angles are all in favor of the Xperia E3. Other bonus points for the older Experia E3 are LTE connectivity, which is hard to come by in this price range, and the Snapdragon 400 chipset, compared to MediaTek. That said, the E3 and E4 currently cost about the same, at around EUR 130. 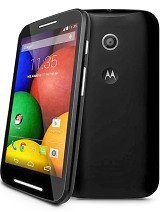 Motorola's legendary budget phone, the Moto G, seems like an even stronger contender. The original from 2013 still packs quite a punch and can be picked up for as little as EUR 100. It is powered by a Qualcomm MSM8226 Snapdragon 400 SoC with an Adreno 305 GPU and 1GB of RAM, which is by no means worse than Sony's hardware. 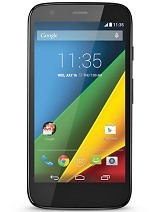 The Moto G also offers a very nice 4.5-inch 720p screen, way better than the one in the E4. For a few bucks more, you can pick up the Dual-SIM variant, or the one with LTE, if need be. 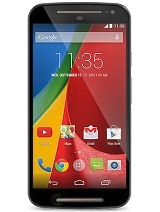 The revised version of the handset, the Moto G (2nd gen) is even more attractive. It bumps the display up to 5.0-inches, improves both cameras and throws in a microSD card slot for extra convenience. It also comes in dual SIM and LTE flavors. Motorola's very own E-series feature another popular option in the budget class, which is even cheaper than the Xperia E4. The Moto E is a really "bare-bones" device, but the original model from 2014 can currently be picked up for as little as EUR 90. For this, you get a dual-core Qualcomm Snapdragon 200, Adreno 302 GPU and 1GB of RAM, a 4.3-inch 540 x 960 pixels display, as well as a single 5MP camera. 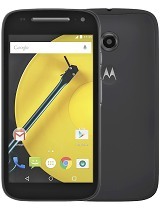 This one also has a second revision, the Moto E (2015). It bumps up the screen to 4.5 inches and notably improves hardware. It comes equipped with either a quad-core Qualcomm Snapdragon 200 or a quad-core Qualcomm Snapdragon 410, both perhaps better than the MediaTek powering the Xperia E4. The more-powerful model costs about the same as an Xperia E4 and offers a significantly better Adreno 306 GPU, not to mention LTE support. With all due respect to Motorola, the Microsoft entry-level lineup is perhaps Sony's main target. The Lumia 535 is spot-on with a 5" screen at 540 x 960 pixels. It is powered by a quad-core Qualcomm Snapdragon 200 and an Adreno 302, complete with 1GB or RAM. 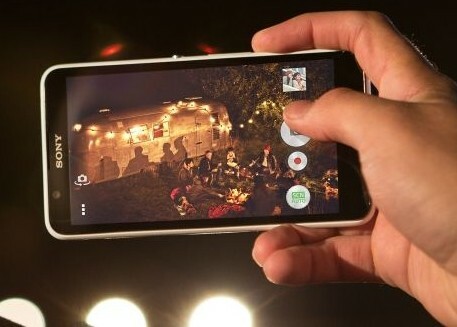 The 5MP selfie camera is a key selling point, for a low cost phone. 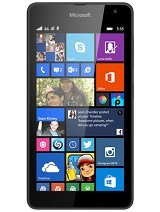 The Microsoft Lumia 535 can be had for as little as EUR 100, posing quite a threat to the Xperia E4. Having to beat this kind of prices is what drove Sony's choice of hardware. The Xperia E4 has a low-cost chipset and a low-quality screen but the most likely users will be getting it free on contract in the most probable scenarios. That's where the Sony brand will definitely help. As always though, if you are trying to get the best possible value for your budget, the time you take to look around will never be a waste.